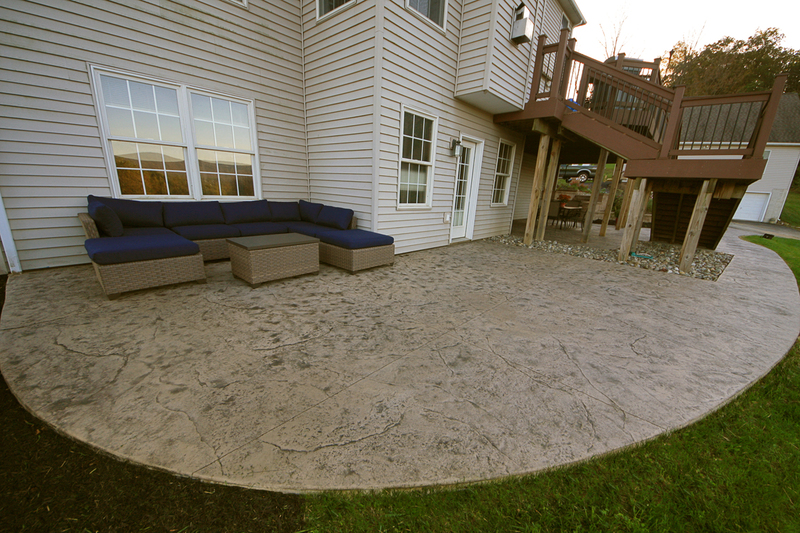 When you invest in a new walkway for your home or business, there is usually a change that will need to be made to the landscaping as well. Old walkways are usually accompanied by outdated plantings that have either lost their luster or have overgrown the space. 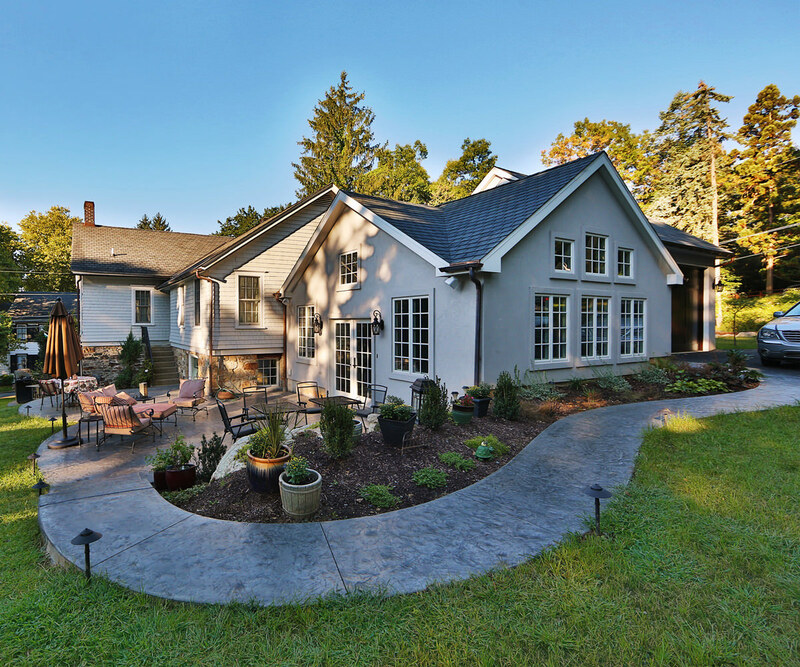 Luckily, in the Lehigh Valley region, we have a huge selection of plants that will provide color to foundation plants and evergreen shrubs that may be bordering the house. 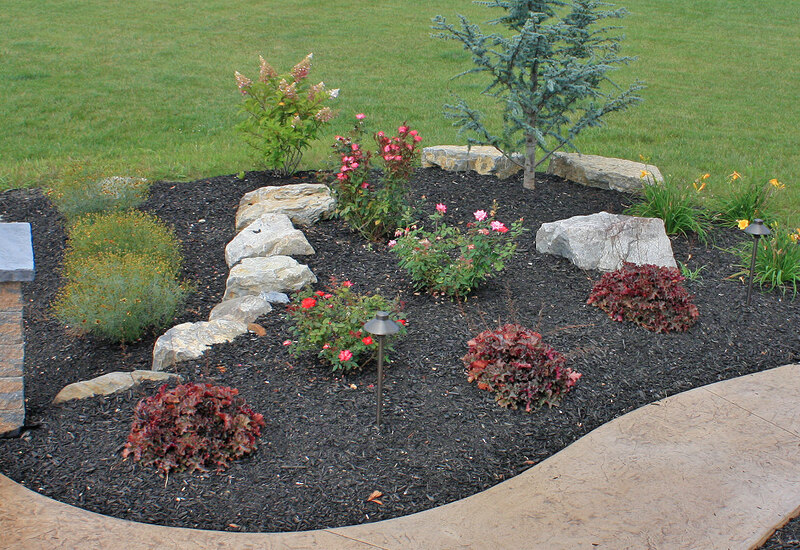 The reason we chose the following plants for along a walkway is because most walkways are near the house, which casts a shadow at some point in the day. This means that plants planted near a walkway need to have some sort of shade tolerance to them while still producing beautiful blooms without the standard 6 hours a day that most perennials and flowering shrubs require. Geranium “Rozanne’ – This colorful perennial fills up with flowers in late spring, and if the conditions are perfect, the blooms will last into early fall. It is probably the most dependable geranium variety that there is. The blooms are a beautiful violet blue color. 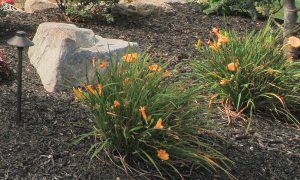 Reblooming Daylilies such as Daylily ‘Stella D’Oro’ and Daylily “Happy Returns’– This is perhaps the most popular daylily and the go-to plant for most landscapers in the area. It is for a reason, though; that the reblooming daylily is widely used…….. it’s long lasting color it provides in the landscape! Stella “D’oro’ was the first reblooming daylily to be available years ago, however over the years new hybrids have been created which provide really neat colors or color combinations. 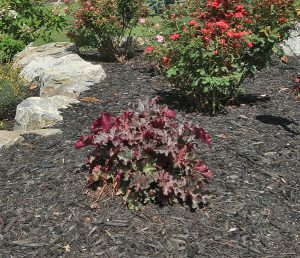 Coral Bells – Most coral bell varieties will work in any condition though, the more sun they get, the more colorful the leaves will be. We have seen and used varieties in the following colors: shades of purple, shades of orange, shades of pink, and shades of green. 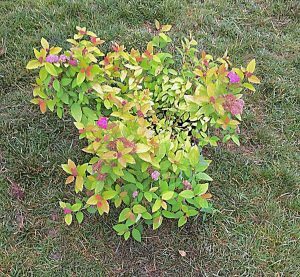 Spirea “Double Play’ – This Spirea is a reblooming variety that produces pink flowers that look very vibrant against the chartreuse or yellow foliage it has. It stays low and compact and doesn’t grow as fast as other Spirea’s. Once the flowers are spent for the season, the leaves turn color at different times to an orange to red color spectrum from the original yellow color; making the color display quite remarkable. 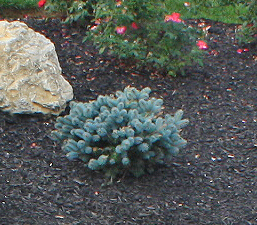 Globe Spruce – We used this compact, low growing evergreen quite often simply because of its beautiful blue color and low maintenance. It works well with most plant combinations and looks great paired with any colors. 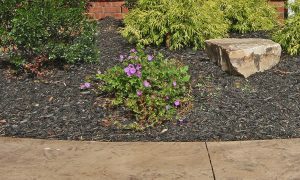 It is our go to specialty plant for along walkways! This list is just a few that we have had success with and that customers told us that they enjoy. We could have listed many other plants, especially a few lower growing hydrangea varieties that we have had great success with; so perhaps we will create another article just for those!